Every watch collector has a "grail", as in the Holy Grail, that is a model they would love to have in their collection. One of my grail models would be the 1961 Pacermatic, also called the Pacer A. The Pacermatic was only made for a single year. From the outside, it looks like the original Pacer. The Pacer was an Electric model and I would call it "the poor man's Ventura", because it looks a lot like the solid 14K gold Ventura model. In fact, the Ventura and the Pacer share the same crystal. The Pacermatic is a Pacer with an automatic movement inside. What makes the Pacermatic special is it's one of the most unique asymmetric mechanical models. I think the only models that bests the Pacermatic is a Flight I or the Automatic K-475... they remind me of something George Jetson would wear. Today a Pacermatic will cost you big bucks... probably $2,500 or more for a nice example. You might even go so far as to say the Ventura is now the "the poor man's Pacermatic. Considering it comes in a gold filled case with a Swiss-made movement, the value of a Pacermatic is pretty impressive. It also proves that you can't turn up your nose at models with Swiss-made movements. They have their place in Hamilton's heritage. 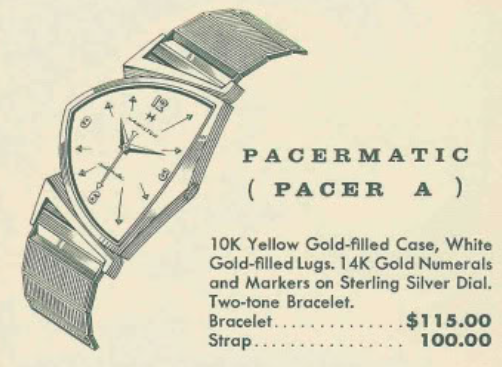 A regular old Pacer, which is also a very nice watch, is more like $800 and the Pacermatic shares the same case. As a result, there are quite a few fake Pacermatics out there. I'll tell you below how to spot a true Pacermatic so you don't get fooled by "a deal too good to refuse". Now, I don't have $2,500 to spend on a single watch, so I try to live vicariously through others. Having restored well over 500 models, I've earned the trust of a few fellow collectors. One recently came into possession of a Pacermatic and he sent it to me for an overhaul. As received, it wasn't much to look at. I didn't ask him what he paid for it but my first impression led me to wonder how many super-rare watches like this have been tossed away or are sitting in shoebox somewhere. Looking at the case, the lugs are silver in color and the bezel is yellow. This dial looks really bad, and the photo makes it look better than it is. The back of a Pacer looks just like the back of a Ventura, the only difference is the material. In fact, you could pop a gold filled Pacer back onto a solid gold Ventura or a solid gold Ventura back onto a Pacer. A Pacer will often show wear to the tip of the point opposite the crown, and this one shows just a sliver of wear in that spot. This watch came on a Hamilton strap. I don't know if this is the original strap but I suspect that it is. Wth the crystal out of the way you can see the dial is in rough shape. There is some wear on the right side, I suspect from the crown not supporting the stem in the case, so the dial and movement can rotate a few degrees. I think the crown needs to have a longer tube so it will fill the case opening a little more fully. This is a good opportunity to point out a few of the tells of an authentic watch. The word automatic should be in script and all lower case letters. Dials can be refinished and it's okay for a Pacermatic to have a refinished dial but the script has to be correct. Also, the lines going into the hour markers should be well centered. A Pacermatic should have a 17 jewel 667 movement. 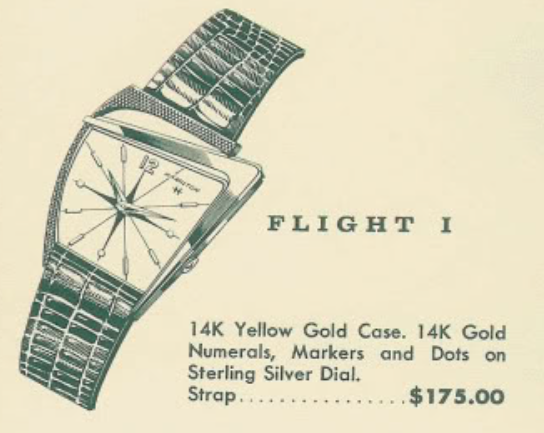 All of the K-series automatics from 1961 used this grade too, so it's not a rare movement. The movement fits in a special movement ring and the ring has a step on the outside so that it will sit in the case back and provide room for the rotor to spin without hitting the case back. An authentic Pacermatic needs to have this ring. Okay - here's the real tell for an authentic Pacermatic. Cases for the Pacermatic came in two batches so their serial number falls into two ranges. The case serial number should fall into the range of 528500-528800 (300 of in this run) or 637700-638200 (500 in this run). Based on the range of the serial numbers, you can assume there were a total of 800 Pacermatics made. This case falls comfortably in the middle of the second batch of numbers. You might come across a Pacermatic with a back outside these ranges. If so, you should assume maybe it's authentic and maybe not. It's quite possible the original back was damaged and a regular Pacer back was used for substitution. As long as the rest of the watch is authentic, I wouldn't worry too much about the case back but you should make sure the other parts are the real deal. Getting the movement ring off requires finding a spot to pry the movement out. You don't want to use the dial as a leverage point. Here is a dial foot hole and it served as a good fulcrum to separate the ring from the movement. The rotor on a 667 comes off easily, just like on it's predecessor, the 661 movement. They look like the same movements when the rotor is removed and they share most of the same parts. Here's true test of a Pacermatic. The dial foot locations for a 667 are not the same as an Electric 505 movement. Therefore, you should make sure the dial feet have not been removed and soldered on in a different spot. This dial shows no numbers or anything unusual and I'm 99.9% sure it's original and I'm 100% sure it's a Pacermatic dial. This shot is a little blurry but you can still see that this is one dirty movement and is long overdue for a bath. Everything is cleaned and dried. I checked with the owner to see if he was open to getting the dial refinished. If he was, I'd be willing to try to clean it. If he wasn't, I'd leave it as is. I have learned, more than once, to not clean a dial that I'm not willing to get refinished. You can very easily screw up a crappy dial and make it even more crappy. He was okay with getting the dial redone so I cleaned this one and I think the results were okay. You can't really tell in the photo below and I need to put the movement back together before you can see how it turned out. Okay - everything looks good and the watch is ticking away nicely. Off to the timer. It's running a smidgen fast but I like everything else I see. I'll let it run for a while before I try to adjust it. The performance will change as the watch settles in after an overhaul. And here is the finished project. My darn light tent really accentuates the remaining tone of the dial. I could try cleaning it further but that risks losing the printing. It looks way better in regular light. Here's a wrist shot of the watch in better lighting. I think the overall watch looks great and I'm very pleased with how it turns out. If it was my watch I would leave the dial as is - it's only original once. Although this Pacermatic isn't my watch, I have to say that just being able to restore one was enough to satisfy my desire for a grail. 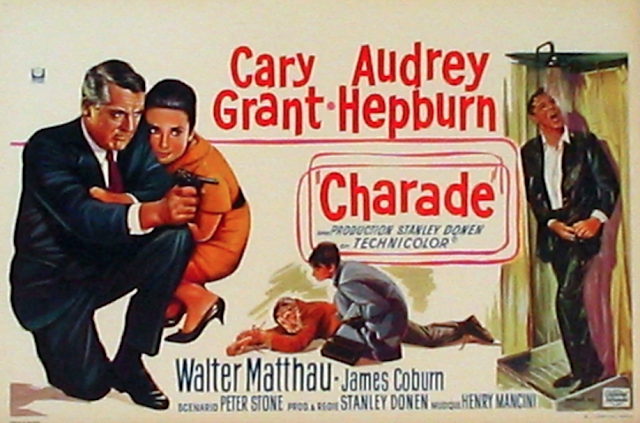 As the stamp dealer in the movie "Charade" said, "For a few minutes it was mine, that is enough".